Laur Fugère has been a friend of the Listening Centre for years. She is the ‘voice’ of the Aerobic #1 Exercises CD's that we use in many Listening Training programs for adults and that we distribute at The ListeningCentre. 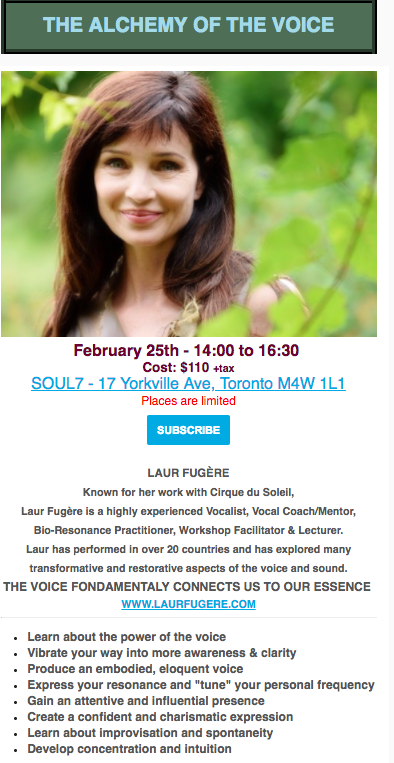 Check out her next voice workshop in Toronto.